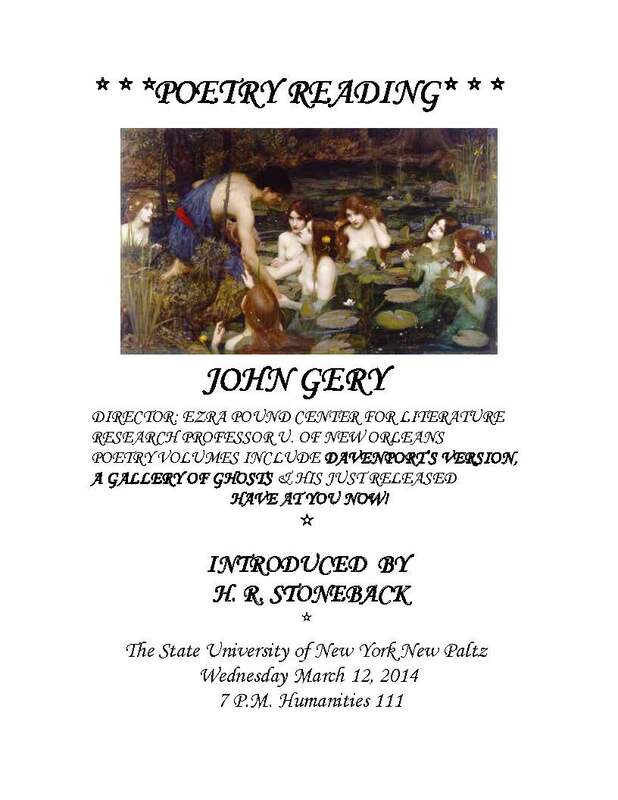 John will be reading at SUNY New Paltz, New York a week from today, on Wednesday the 12th of March. In addition to the reading, which will take place at 7 P.M. in Humanities 111, John will also be joining Daniel Kempton and H.R. 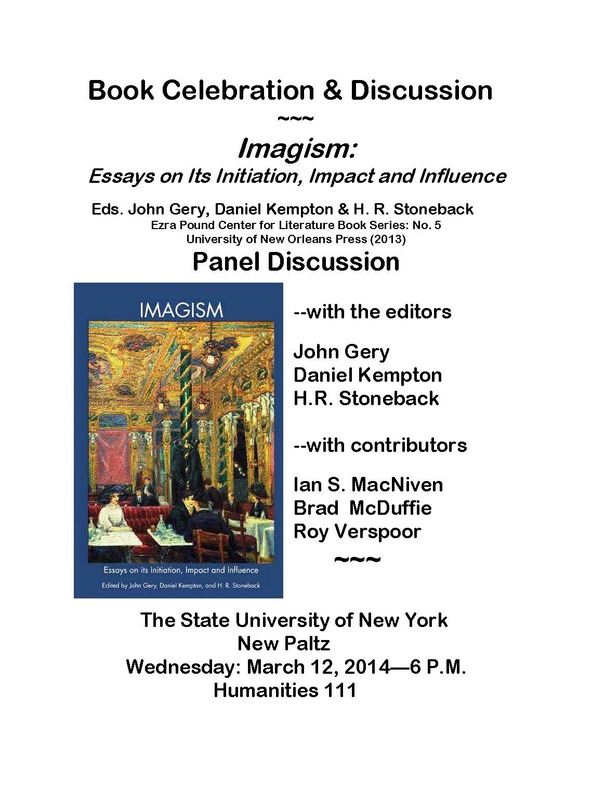 Stoneback in delivering a panel discussion on Imagism, which will take place an hour before the reading (6 P.M.) in the same room. If you are in the New York area, please do join us at SUNY for the reading and discussion, which are sure to be both lively and interesting.